Longquan is a famous historical and cultural city. 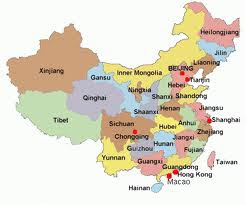 This city is noted for its celadon and is located in the southwest of Zhejiang province in China. Archaeological surveys have revealed that there are more than 500 ancient kiln sites of Longquan celadon that have been found, with more than 360 that are situated within the city that forms a huge ceramic kiln system. Some of these kilns dates back to the Western Jin dynasty and became more sophisticated during the northern Song dynasty. The celadon technique reached its peak of perfection during the middle and late southern Song dynasty. Fen ching - lavender grey and meizi ching - plum green became the trademark celadon glazing colors of this region. Ge kiln was one of the Five Famed Kilns of Song Dynasty along with the Guan, Ru, Ding and Jun kilns. The celadon technique of Longquan Kiln promoted the development of kilns in other parts of China. 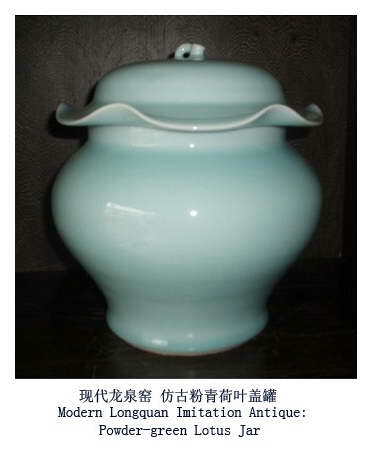 Longquan celadon reached its peak during the Song and Yuan dynasty. Stoneware with glaze (Longquan ware). 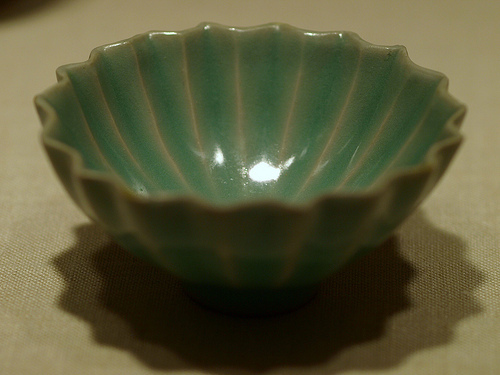 The organic shape, elegant grayish green glaze, and crazing of this unusual leaf-shaped cup illustrate the existence of close ties between some of the Longquan kilns, located not far from the Southern Song capital at Lin’an (now called Hangzhou), and the bluish-green glazed Guan ware produced for the Southern Song court. Longquan celadon ware was exported from China to the Persian Gulf, Arabian Sea, Red Sea and the East Coast of Africa during the Song and Yuan dynasty. During the Ming dynasty the production of Longquan celadon ware continued however the quality declined and began to disappear during the Qing dynasty. 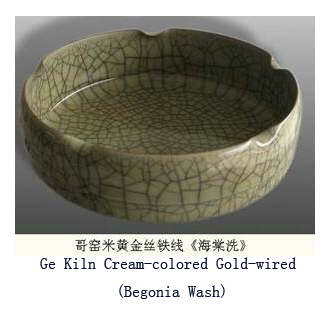 There are 2 traditional classifications to Longquan celadon ware – Geyao and Diyao. The tale of Geyao and Diyao emerged from the record of the Ming dynasty period. The Zhang brothers were living in Longquan County and were masters at ceramics. The ceramics made by the younger brother is called Diyao while that by the elder brother is called Geyao. There is no evidence for to prove the existence of the two brothers. However, it did create two ways of making ceramics at the Longquan kilns. The delicate gray-green color of the glaze on this piece shows the influence of the earlier Northern Song imperial taste that carried into the preferences of the Southern Song court. This censer takes its form from the shape of a Western Zhou-dynasty (ca. 1050–771 B.C.E.) ritual food vessel called a gui, reflecting the impact of Southern Song period interest in antiquarianism among literati. Song period emperors, most notably Huizong, adopted cultured tastes of these educated elite and popularized them at court. Geyao, the elder brother kiln, had a black clay body with a purple rim and iron brown bottom. 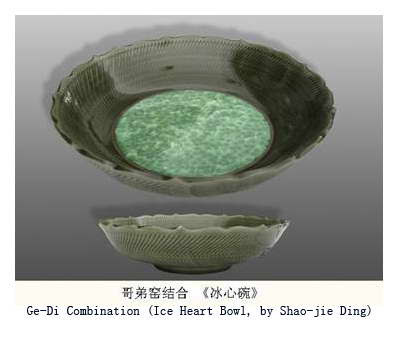 The sparkling and crystal-clear glaze of Geyao celadon made it look like jade or ice. Ge kiln was one of the Five Famed Kilns of the Song Dynasty along with the Guan, Ru, Ding and Jun kilns. The celadon from Ge Kiln has a black body with crackles in the glaze layer under the glazed surface. The crackles in Ge Kiln celadon are magnificent and ancient-looking. There are different crackle patterns including ice crackle, crab claw crackle, ox hair crackle, water flow crackle, fish roe crackle, eel blood, a hundredfold crackle, etc. Ge Kiln celadon also has a characteristic called "purple rim and iron foot", and its glaze layer is thick opaque or translucent. Together with crackles, Ge Kiln celadon appears more ancient-looking, elegant, and precious among all celadon wares. Their ceramics became the most outstanding for the shape, glazing color and crackling. The crackling is difficult to control by human and it forms by nature, applying for the aesthetic interest of natural and simple antique varieties. Diyao, the younger brother kiln, features thick, white clay pieces covered in a bluish glaze that gives them a glittering and translucent appearance and moist texture. 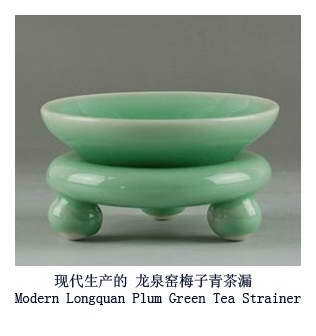 Fen ching (lavender grey) and meizi ching (plum green) are the best celadon glazing colors and below them is dou ching (bean green). 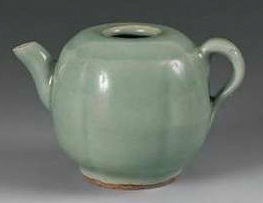 The celadon produced in the Di Kiln has the following characteristics: white or cinnabar porcelain body, thick and rich glaze layer, fresh green glaze color, and glossy soft, glistening moisture, jade-like appearance. There are many different colors such as: plum green, powder green, pale green, pea green, light blue, gray and yellow, and etc. 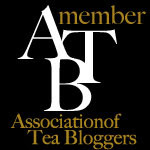 Among them, powder green and plum green are the most sought after. The green glazing color is enhanced with orange footing or Lutai patterns. 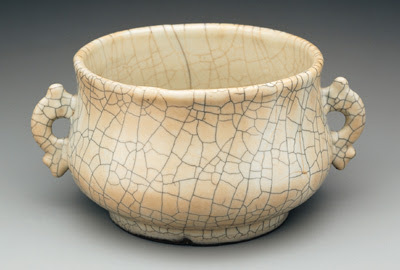 Ceramics with Lutai patterns appear abundantly in the middle and late Southern Song period, especially in the Yuan period. Design elements such as faces, hands, foots of portraits, clouds, dragons, flowers in the bottom of artifacts are quite unique.